Access to the largest fleet of charter RIBs in the UK and Europe in an amazing location – undertake a course then charter a RIB to put it all into practice! Solent Rib Charter (‘SRC’) are the UK‘s leading Rib charter company with over twenty RIBs on their fleet. Based in Lymington, SRC are happy to deliver bareboats to Poole or anywhere else in the UK. SRC’s bareboat RIBs are available to everyone that has trained with Powerboat Training UK and Aquasafe Powerboat School who possesses either an RYA Powerboat Level 2 certificate or an International Certificate of Competence (ICC) combined with an appropriate degree of experience. To make sure that you are totally happy with your first charter experience with one of their RIBs, there is an option to have an SRC skipper accompany you for an extra £28 for the day – a great confidence builder. All of the boats are Ribcraft Offshore models, giving true offshore performance, robustness and high quality specification. These RIBs are identical to the ones that we use in the school (see the ‘Our Craft’ section) and were all used either as Police or Media boats at the sailing events at The 2012 Olympic Games. The RIBs are reliable, give excellent performance, sensible fuel economy and are always supplied with life jackets and all the necessary safety equipment as standard. 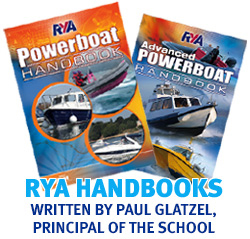 Lifejackets for children are available as are tenders, small outboards and oilskins. These are loaned free of charge as required.